Recent work at the intersection of moral philosophy and the philosophy of psychology has dealt mostly with Aristotelian virtue ethics. The dearth of scholarship that engages with Hume’s moral philosophy, however, is both noticeable and peculiar. 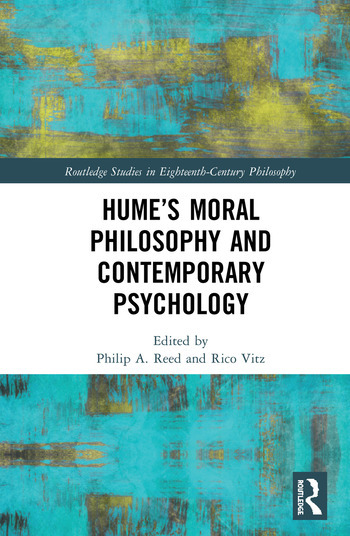 Hume's Moral Philosophy and Contemporary Psychology demonstrates how Hume’s moral philosophy comports with recent work from the empirical sciences and moral psychology. It shows how contemporary work in virtue ethics has much stronger similarities to the metaphysically thin conception of human nature that Hume developed, rather than the metaphysically thick conception of human nature that Aristotle espoused. It also reveals how contemporary work in moral motivation and moral epistemology has strong affinities with themes in Hume’s sympathetic sentimentalism. Philip A. Reed is Associate Professor of Philosophy at Canisius College, USA where he also codirects the Ethics and Justice Programs. His main areas of interest are in ethics, political philosophy, and moral psychology. His articles on Hume's moral psychology appear in such places as History of Philosophy Quarterly, Pacific Philosophical Quarterly, and Canadian Journal of Philosophy. He has also published articles in Ethical Theory and Moral Practice, Journal of Medicine and Philosophy, and Christian Bioethics. Rico Vitz is Professor and Chair of the Department of Philosophy at Azusa Pacific University, USA and serves as the Executive Vice President-Treasurer of the Hume Society. He is the author of Reforming the Art of Living: Nature, Virtue, and Religion in Descartes's Epistemology, co-editor of The Ethics of Belief: Individual and Social, and the editor of Turning East: Contemporary Philosophers and the Ancient Christian Faith.